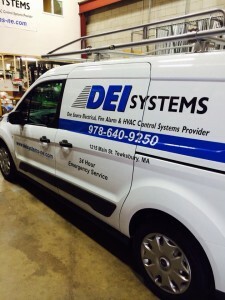 DEI Systems is a 24/7 operation with live on call response. This is a system that is in place for our valued customers to ensure their needs are met within a timely fashion. Because emergencies know no specific timeframes we stand ready to respond 24 hours a day, 7 days a week, 52 weeks a year including holidays. Our goal 1st and foremost is to fix the problem on the spot. If this cannot be achieved in off hours, the goal is to make the problem safe and under control for the DEI service team to take over during the next workday. Computerized billing system to ensure accuracy and expeditious and detailed billing. Skilled technician trained on procedure and proper trouble shooting techniques.